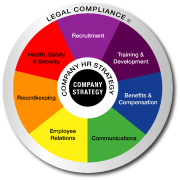 RecordKeeping Archives - strategic HR inc. It may be a small attempt but we as HR professionals can help our organizations “go (a little) green” by moving toward electronic communication and recordkeeping. As the green movement continues to grow, we know that everyone can help, even in small ways. One way which HR can help is to move to a paperless (ok…paperless may be a bit extreme…how about less paper intensive?) environment. The shredding and recycling of many of those documents we have kept as paper files can help us in a small way do our part to go green. Electronic communication and recordkeeping has been and continues to grow in practice. Over the past ten years we have seen significant increases in the amount of data and communication stored and transmitted electronically rather than the traditional paper documents and files. Along with this, we have seen various governmental rulings providing guidance to employers to move to this less paper intensive mode. In 2002, the Department of Labor provided final rules on electronic communications as it relates to the delivery of most ERISA-mandated disclosures. This includes the electronic delivery of such notices as summary plan descriptions, summary annual reports, and even individual benefit statements. A few years later, in 2007, the IRS offered final guidance on non-ERISA “in writing” requirements for 401(k), 403(b), and 457(b) plans, just to name a few. The support of such legal guidance has allowed electronic recordkeeping and communication to become more prominent and has allowed us as professionals to become even more productive. Of course, productivity does not come without some significant legal concerns and challenges that must be considered when implementing an electronic system. All of these types of systems aid in electronic recordkeeping, just at different extremes. An EDMS system typically will allow for individuals to manage their information on a desktop system. An EIS allows employers to manage documents that are scanned and electronically stored. RMS is software which electronically manages paper files stored in a record center. RMS systems do not actually store electronic documents; it is only tracking software which you may use to manage information about where records are physically stored and to (hopefully) stay on up to date on destruction dates for documents to minimize the amount of records retained while staying legally compliant. All of the systems offer great electronic alternatives to employers wishing to move toward electronic storage. In considering what type of system will work best for your organization, there are many items that must be kept in mind during the transition. A pre-implementation checklist of items (below) will help to reduce potential risks associated with electronic recordkeeping systems. These items should be considered and properly implemented prior the launch of such a system. Validation. The recordkeeping system must be validated to ensure that the documents are truly valid (i.e. accurate, reliable, non-altered documents). Readability. The system must be able to print an accurate, legible, readable copy of the record. The organization must maintain a “back up” filing system for documents that are unable to be clearly scanned or maintained electronically with reference to those “non-electronic” copies. Access. The system must take measures to protect from unauthorized access. This will assist with confidentiality concerns as well as inappropriate destruction of records. Protection / Confidentiality. The system must contain legally acceptable means to protect records. This can be through the use of encryption or other tactics but it must be a proven measure to protect legally required confidentiality rules. Audit trail. Systems must use secure, computer-generated, time-stamped audit trails to independently record the date of time of operator entries to assist with validation. Record changes should be noted and retained any time a document is created, modified, or deleted. Disposal of originals. The original paper records must be properly disposed of after they are transferred to an electronic recordkeeping system. Documents which have legal significance or inherent value as original records (i.e. notarized documents, sealed documents) should be maintained as originals. Record retention. One of the most difficult challenges with electronic recordkeeping lies in accurate record retention. As an HR professional, one of the biggest challenges is keeping enough information to maintain compliance but not over-save. “Cleaning house” presents new challenges for electronic recordkeeping if your files are not stored accurately or with enough detail to evaluate destroy dates. The destroying of electronic records is challenging for a number of reasons. Some files may be placed on hold for audits or litigation and must be maintained separate than others. Some retention periods are event oriented. Some records change their “appearance” overtime which may change their record retention time. One consideration when storing files would be to store records via functional area, similar to how you store files today. Store applications by position, store advertisements by position name and date posted, store summary plan descriptions by plan design and year, etc…so they can be appropriately evaluated for proper destruction. Also pull potential audit or legislative issues in a separate file for frequent evaluation. As usual, it may not be the easiest thing to do but we all know that doing our part to “go green” is the right thing to do. With a carefully thought out system, good policies and procedures, and proper training, going green with our electronic records will be a snap. Patti Dunham, MA, MBA, SPHR is a Senior Human Resources Consultant with Strategic Human Resources, Inc. (www.strategicHRinc.com). If you have any questions feel free to contact her at Patti@strategicHRInc.com.